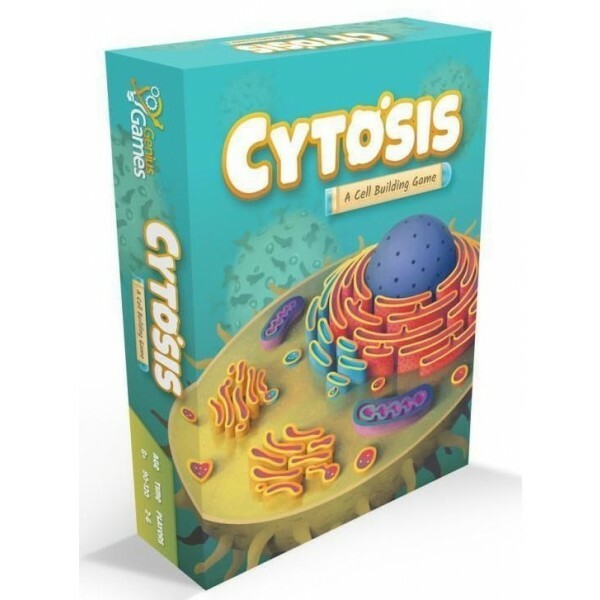 You control a cell — and learn some biology basics — in Cytosis from Genius Games! 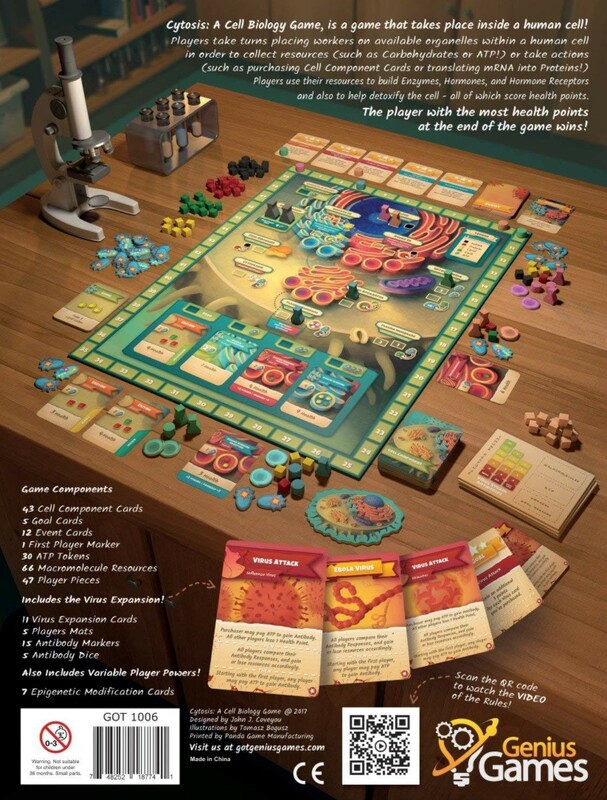 In this worker placement game that takes place inside a human cell, players take turns placing flasks on available organelles within the cell. 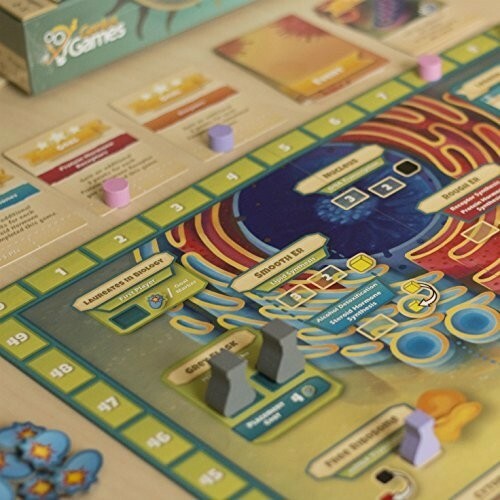 Placing a flask on an organelle allows a player to activate that organelle, to either gain macromolecule resources or take actions like using those resources to complete cell component cards, like enzymes, receptors, hormones. Everything mimics actual processes that a human cell goes through every day! 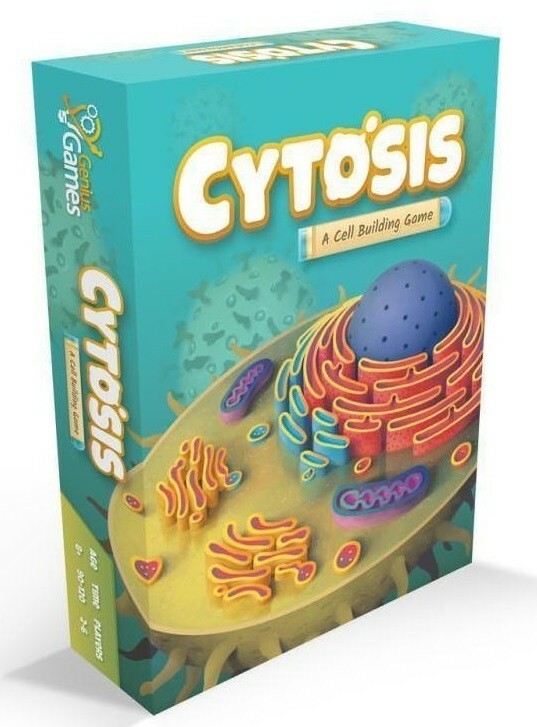 This game for 2 to 5 players takes 60 to 90 minutes to play and teaches concepts in cell biology, including the nucleus, free ribosomes, smooth ER, rough ER, the golgi apparatus, the plasma membrane, mitochondria, enzymes, hormones, receptors, and cell detoxification.